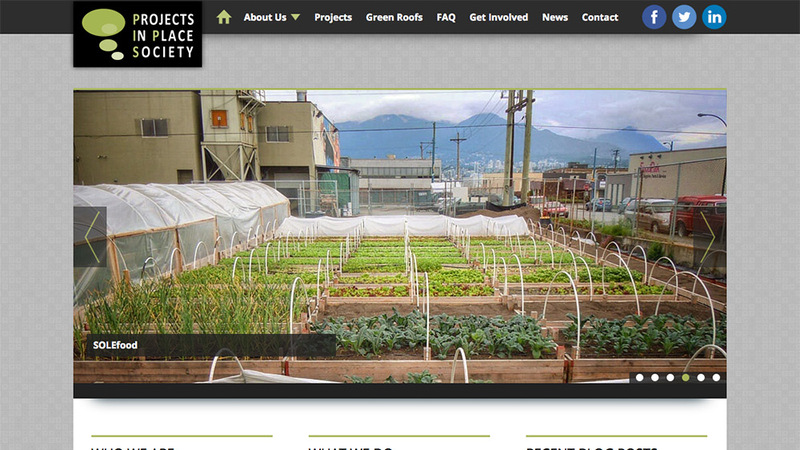 Projects in Place Society is a non-profit organization of Vancouver that creates, plans and builds projects that beneﬁt the community and demonstrate sustainability. Their new website is built on Wordpress using their own theme with many different options and custom sections to suit their needs. 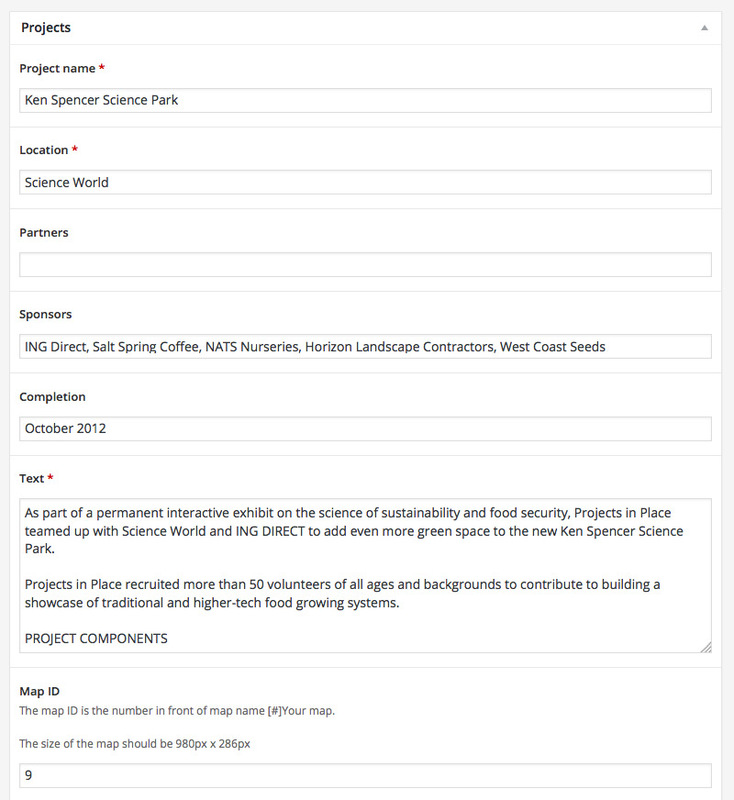 The projects section helps the administrator to add/modify any of their projects. 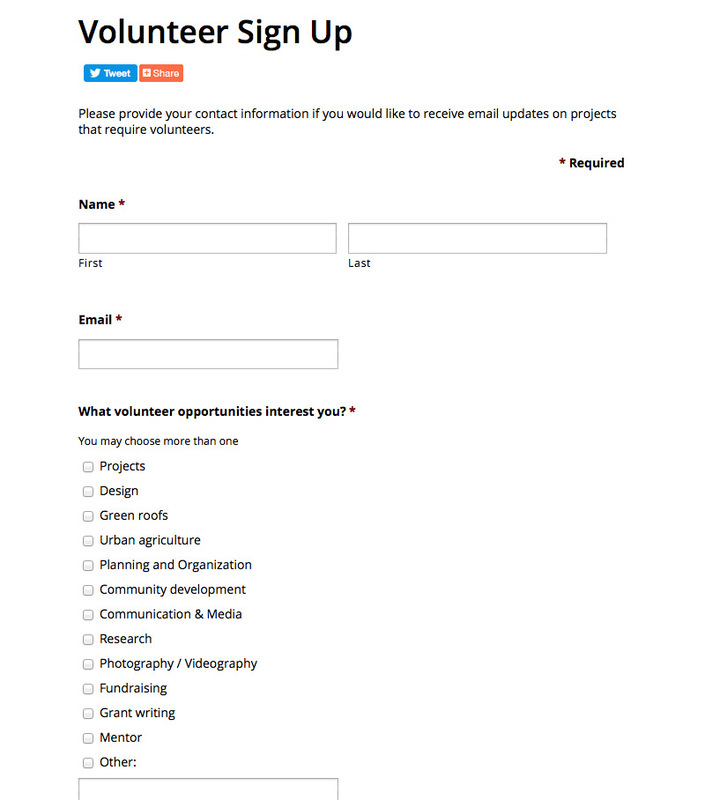 With the help of an easy form builder, administrators can build any type of form to recruit volunteers or collect data.